Steampunk week is coming to an end here at Stellar Four. We've recommended things to read. We've covered steampunk styles for ladies and gents. 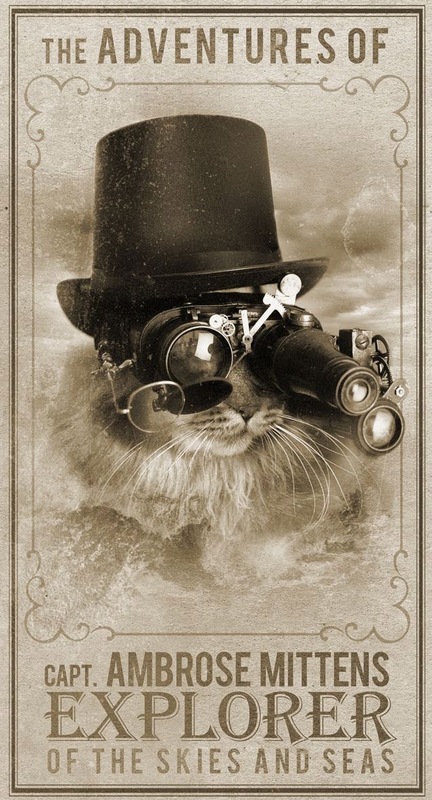 And now we're here to talk to you about steampunking your cat. 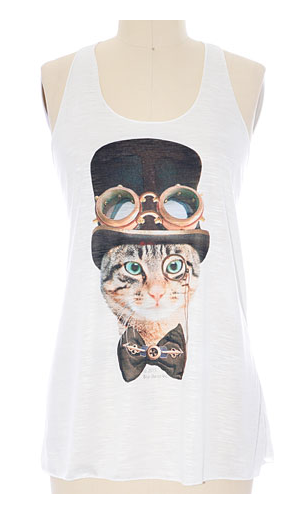 OK, maybe don't actually put a little top hat on your cat's head. You'll probably get scratched (and you'd probably deserve it). Plus, kitty doesn't don't want to be covered in cogs, although to be fair, who would? 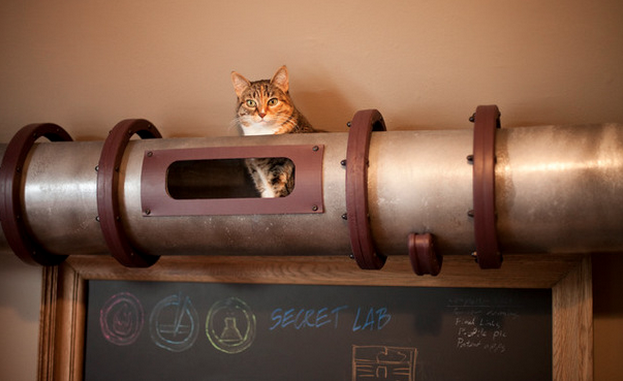 If you really love your cats, you'll build them this steampunk cat transit system based on the tutorial posted at Houzz. The materials are primarily available at a well-stocked hardware store, and the website includes templates that woodworkers can use to shape plywood into brackets and cogs. Don't your kittehs deserve this cunning run? 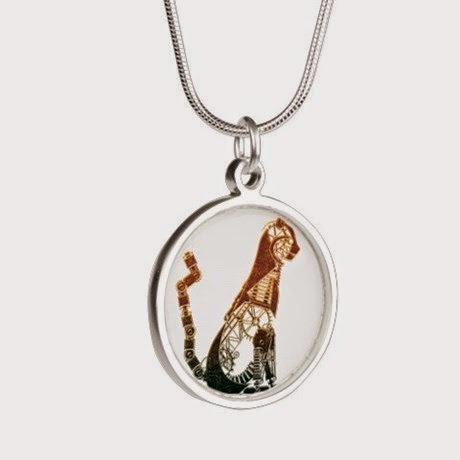 I adore with this necklace and the cat it showcases. He's one cool customer. Available at AliExpress. 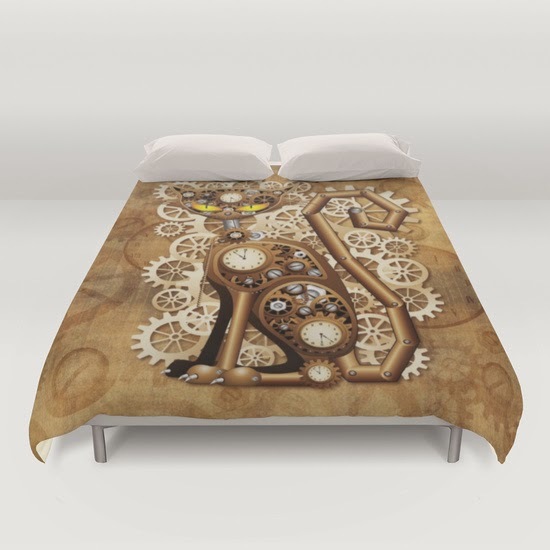 Steampunk cat duvet cover? Sure! Why not! Available from Society6. I'm not certain why he needs a monocle and googles, but he's cute either way. Tank for sale at Plasticland.com. 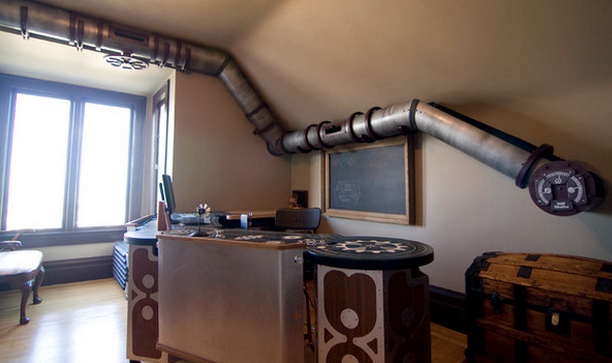 This one's got a pipe, too. 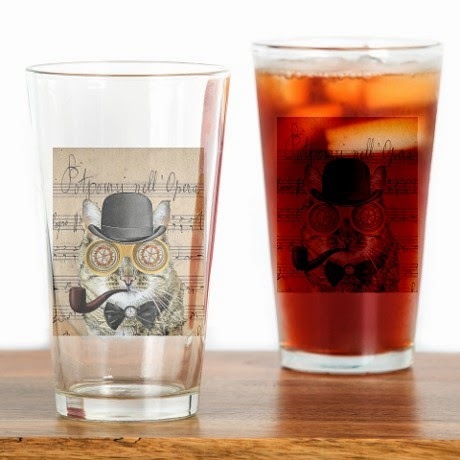 Drinking glasses from CafePress. 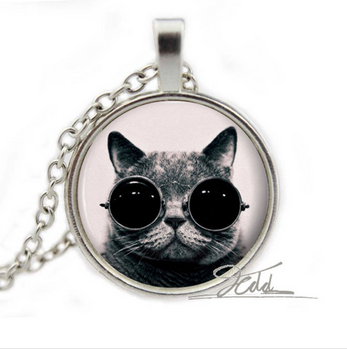 Clockwork cat is awesome. Necklace also from CafePress. 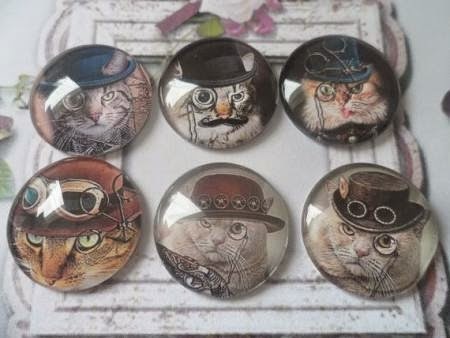 These cabochons feature steampunk kitty heads for your jewelry-making and scrapbooking needs. By Etsy seller BellesBeadSupplies. And oh, OK, I suppose some of you enjoy dogs, too. I'll never get tired of the way their owners casually humiliate them with costumes. Who's a good boy? He's a good boy! 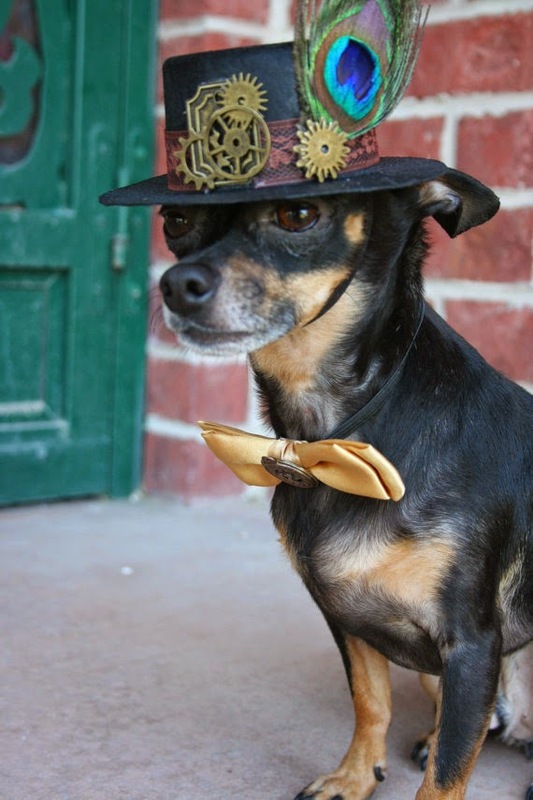 If you're now in the steampunk mood, click here for more adorable pets in costumes, plus suggestions for how to make and where to buy! And if you want to feast your eyes on more steamed-up cats, DeviantArt won't let you down.